Last weekend at the beautiful London Wetland Centre, Lama Jampa continued with his teaching of Chapter 4 of Rain of Clarity. 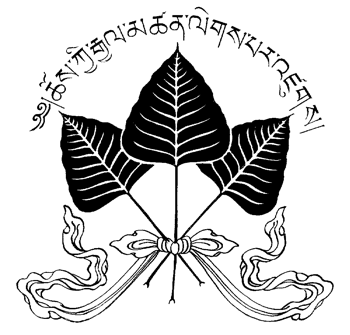 He began by explaining that the book is a synthesis and simplification of such classic Tibetan texts as Sakya Pandita’s ’Elucidating the Thought of the Sage’ and Shantideva’s ‘Bodhisattavacharyavatara’ and was written to give people the opportunity to inform their meditation with the core values of mahayana Buddhism as expounded in these great works. This section of 'Viewing Emptiness' covered the proof for phenomenal selflessness, including the dismantling of alternative views such as theism and materialism. The concluding view of the madhyamka 'free from extremes' was then examined in detail, in particular the subtle ways in which it is possible to deviate from the pure middle way view as upheld in the Sakya tradition. Lama Jampa concluded the teaching by explaining that although the teachings can seem complex and theoretical, hearing and studying them was critical to the complete dismantling of our incorrect understanding and the development of wisdom through meditation.